Mobile locksmith – Keys in a Flash are always looking for great information to provide our customers with hints and tips about how to keep your home and business safe. Please keep an eye on this page as we will provide articles and video with great ideas and inside information. We hope you enjoy this information. One of the easiest crimes to prevent — burglary — is also one of the most common.. If it happens at your home, you lose more than a few possessions. A break-in, even when you’re not there, has a major impact on your and your family’s sense of safety and well-being. But burglaries don’t have to happen. 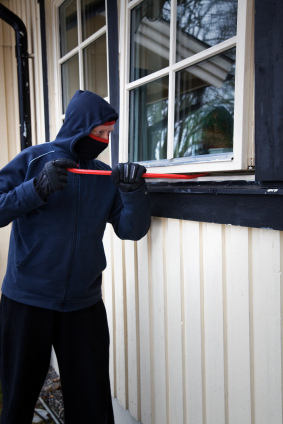 There are a lot of things you can do to boost home security and make your house burglary-resistant. Here are tips you can use to help you keep your family safe and your home and its contents intact. Never leave doors or windows unlocked, and never hide a key to your house outside where it can be easily found. Use solid core or metal doors that are secured with good quality deadbolt locks. Look for or ask the locksmith for door locks with an ANSI grade 1 rating. Deadbolt locks should have a horizontal bolt at least 1 inch long. With shorter bolts, a burglar can more easily use tools to spread the door frame and open the door. Consider using locks that have an internal anti-saw pin that makes it difficult for a thief to saw through the bolt with a hacksaw. Also, some locks come with an anti-drill feature using hardened steel chips inside the lock that will destroy a drill bit in case a burglar tries to drill through the lock. The casing, which is the outside housing of the lock, should be made out of hardened steel and be bevelled. A hardened steel casing makes the lock more resistant to impact, and the bevelling helps prevent a burglar from using a pipe wrench to twist the lock free. A metal strike plate is attached to the door jamb to hold the bolt or latch in place. The most common way for a thief to force a door open is to kick it open by kicking at the plate. You can make this harder by using a heavy four-screw high security strike plate. The wood screws used to attach it should be 3 inches long. That way, they will go through the jamb and be anchored in the door frame stud. Using at least one long screw in attaching each door hinge will further secure the door against forced entry. Treat a door between an attached garage and the house as an outside door and use the same type of locks that you use on the front and back door. Any window or glass panel in the door that is closer than 42 inches to the lock should be reinforced with an invisible security film so a burglar can’t break the glass and reach through to unlock the door. Another home security measure for windows is to install stops that prevent them from being opened more than 6 inches. If you do, though, everyone in the home needs to know how to remove the stops to make an emergency exit.